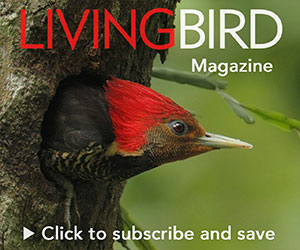 From the Summer 2014 issue of Living Bird magazine. During bird breeding season in New Hampshire’s White Mountains, the frenzy of whistles and twitters and chortles raining down from the treetops—the full-throated voices of tanagers and thrushes and assorted warblers—creates a wall of sound at a trailhead. Step inside, and you’re immersed in bird song. The territories of Black-throated Blue Warblers, and indeed the core of their range, are undergoing extensive change these days. The annual average temperature in the forests of the Northeast rose by 1.44 degrees Fahrenheit between 1900 and 1999, and that average temperature is forecast to continue rising for the next 100 years—ranging from increases of more than 5 degrees if greenhouse gas emissions are curtailed to almost 10 degrees in a higher-emissions scenario. 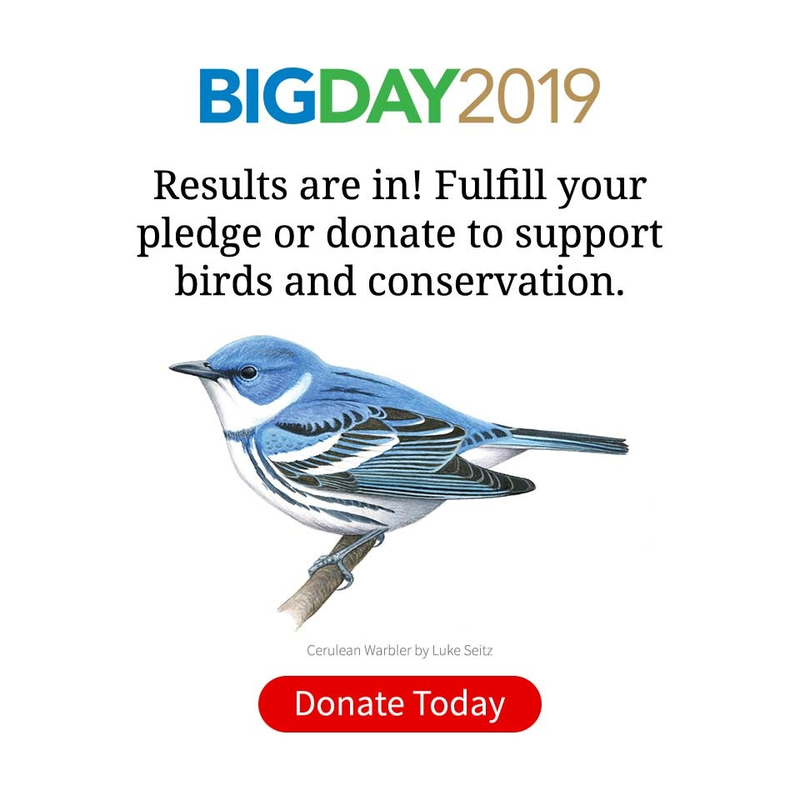 Over the past seven years, Kaiser has conducted research on Black-throated Blue Warblers at the Hubbard Brook Experimental Forest that may offer a ray of hope for the species in this century. Kaiser’s studies of more than 1,000 blackthroated blues show that they can adapt their breeding behavior across climates spanning an elevation range of 600 meters, with a difference in climate between higher and lower elevations approximating the change in the lower-emissions scenario. Cornell Lab of Ornithology researcher Sara Kaiser and her team study Black-throated Blue Warbler breeding behavior in the Hubbard Brook Experimental State Forest in the White Mountains of New Hampshire. This much Kaiser knew going into the project—Black-throated Blue Warblers appear to be very rigid in their spring migration, always arriving here in the first week of May. Such rigidity in breeding behavior would presumably not bode well for coping with climate change. But Kaiser’s research shows that black-throated blues actually run through a matrix of options and decision-making as they survey the conditions around them each breeding season. If they are able to nest in higher elevations where caterpillars abound and food is plentiful, black-throated blue males settle into their territories and spend more time guarding their mates from other interloping males, thereby defending their paternity. These males may be more likely to cheat during the parental stage (because food is plentiful, the females are less likely to need help with their offspring). While she tends the nest, he wanders off to attempt siring offspring with nearby females. These males in high-quality habitat are also more likely to pursue a second brood with their mate in the summer, potentially doubling their annual reproductive output. Kaiser used playback of male Black-throated Blue Warbler songs, along with a "dummy" male warbler, to observe how males responded to threats on their breeding territory. Photo by Gustave Axelson. Black-throated blue males in lower elevations with fewer caterpillars and poorer-quality habitat make different decisions. They are forced to spend more time feeding themselves while their mates are fertile (because food is relatively scarce), so they leave themselves open to cuckoldry. They are far less likely to attempt a second brood. When Kaiser introduced a variable, providing mealworms and waxworms to the nesting black-throated blues in poor quality habitats, something fascinating happened. The birds adjusted their breeding strategy mid-season. Now the males stayed home and guarded their mates when they were fertile, to protect their paternity. They also raised a second brood with their mates. The significant finding from all this peering into the lives of Black-throated Blue Warblers: their breeding behavior is not hard-wired into their DNA. They can respond and cope with moderate environmental change (even moderate change introduced rapidly within a given year). Even better news, this flexibility in breeding behavior may not exist solely among black-throated blues but could be shared among several species of Neotropical migratory songbirds. Many other warblers may be able to cope with climate change that affects their northern range— in a lower-emissions scenario. Kaiser, S. A., T. S. Sillett, B. B. Risk, and M. S. Webster. 2015. Experimental food supplementation reveals habitat-dependent male reproductive investment in a migratory bird. Proceedings of the Royal Society B: Biological Sciences 282:20142523. Kaiser, S. A., T. S. Sillett, and M. S. Webster. 2014. Phenotypic plasticity in hormonal and behavioural responses to changes in resource conditions in a migratory songbird. Animal Behaviour 96:19–29.